Security forces in Chad have seized a large weapons cache including guns, rockets and ammunition in a house in the capital N’Djamena occupied by suspected members of Nigerian Islamist group Boko Haram, officials said told Reuters Friday. The weapons, buried under the courtyard of the house in the eastern neighbourhood of Guinebor, were destined for northern Nigeria, where Boko Haram has launched a wave of attacks in recent weeks despite suffering heavy military defeats this year. 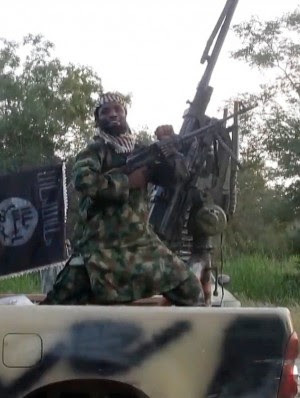 Amid a resurgence in attacks in Nigeria’s Borno state, suspected Boko Haram insurgents rounded up and shot dead dozens of people in the town of Kukawa on Wednesday. “These were weapons that Baana Fanaye, Boko Haram’s logistics chief for northern Cameroon and Chad, was preparing to send to Nigeria,” said one investigator, who asked not to be identified. Fanaye was arrested in a raid by Chadian police last month. Chad has played a leading role in a regional offensive against the armed group this year, in parallel with forces from Nigeria, Cameroon and Niger. Two suicide attacks in N’Djamena in mid-June by suspected Boko Haram members, which killed 34 people, were believed to be in retaliation for Chad’s part in the campaign. Chadian authorities arrested 60 suspected militants on June 27 and said they had dismantled a cell responsible for the suicide attacks. Two days later, five officers and six militants were killed during a raid on an arms cache. State prosecutor Alghassim Khamis said the latest arms cache, discovered on Thursday, was found hidden in one of the houses raided on June 27.